Hooray!!! I finally have a finish for 2013. 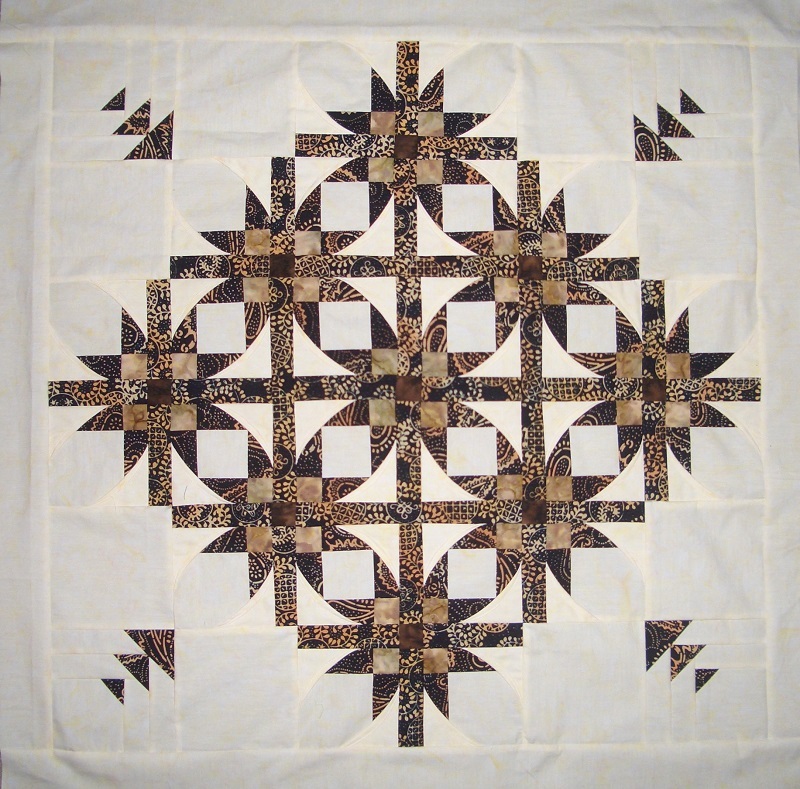 Below is Mexican Stars, pattern by Southwind Designs, fabric from Sew Batik. It is a small quilt, 32x32, and goes together quickly. All I need to do is quilt and bind! 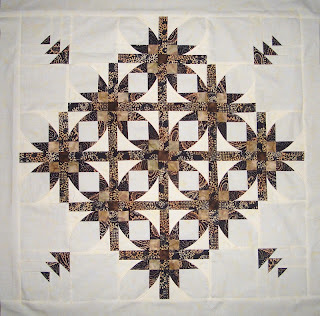 Striking quilt, it will look lovely when its all quilted up! I love the stars, and the colors are outstanding. Great Job. What a pretty quilt. I like the arrows in the corners.